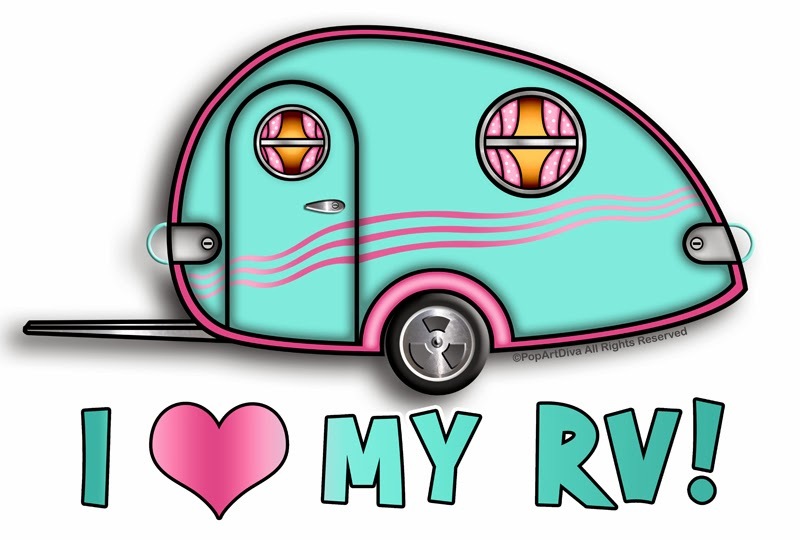 I spent 15 years traveling around the country in an RV doing art shows from coast to coast. 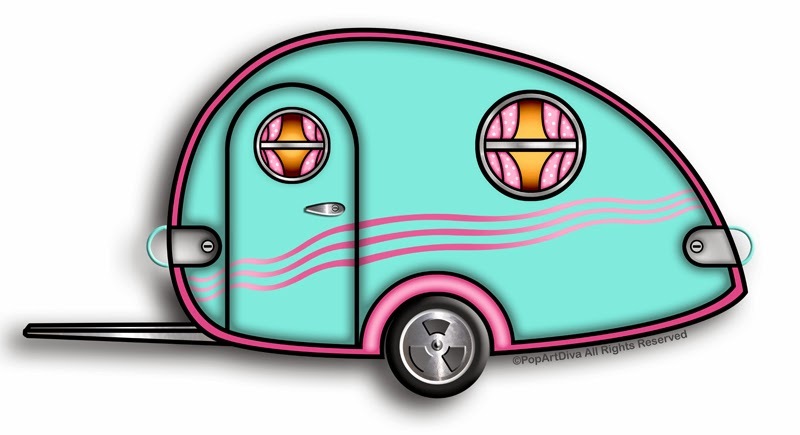 Of course I had to be more practical in my choice of recreational vehicle and drove a 30 foot motor home instead of this adorable little fifties style tear drop trailer but I have always loved the vintage RVs because they're so cute. 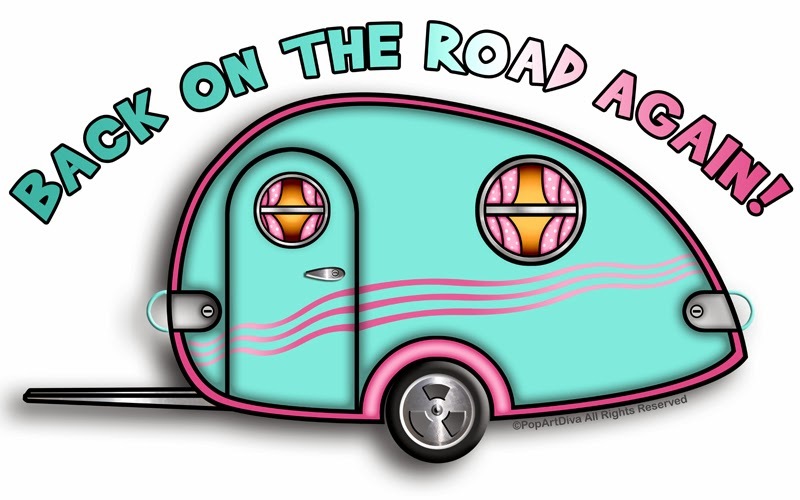 When I happened upon the Outdoor Adventure Club for Women I was entranced by the adorable and creative ways the members had gussied up their trailers and was inspired to do this illustration. Someday I want to have a cute little get-up like this - complete with a matching 1956 pink and turquoise T-Bird to pull it! In the meantime I can enjoy my own graphic of my dream. is available on Posters, Archival Prints, Canvas Prints, Clothing, Cards & Postage, Home & Kitchen Decor, Accessories, Office Products, and Electronics Cases & Sleeves .